Project: Diverge ran its first Operation, Operation New Wave, on 4.21.18 at the Old Bridge Elks in Old Bridge, NJ to a packed house. After months of anticipation, Diverge unleashed the event onto the internet as part of a 5 Day Special Release starting on 12.21.18 and ending on Christmas Day. Critically acclaimed, Diverge received positive feedback not just for its content, but its production and state-of-the-art look. Now, Project: Diverge will be taking Operation New Wave to local television, thanks to the folks at Piscataway Community Television! Starting on March 5, 2019 at 11:30 PM, Operation New Wave will air Tuesdays and Fridays, including the Road to Operation New Wave series, which details all 8 competitors in the Operation New Wave Tournament, the formation of the STYLES CLASH, and details what led to this event to take place. PCTV is also carried on Channel 40 (programming) and Channel 42 (Bulletin Board 24/7) on Verizon FiOs in these towns: Berkeley Heights, Bound Brook, Branchburg, Fanwood, Franklin Township (Somerset County), Manville, Mountainside, New Providence, North Brunswick, North Plainfield, Piscataway, Somerville, South Bound Brook, South Brunswick, South Plainfield, Summit & Warren. Project: Diverge continues to DIVERGE from the path and we hope, starting 3.5.19 at 11:30 PM, you check Operation New Wave out on television. #OperationNewWave is here! Episode 5 of this 5-Day Special Release has the FINALS of the Operation New Wave Tournament! Tom O’Malley, with a slight separation in his left shoulder due to his matches with 2Hot Steve Scott and Tough Tim Hughes, has ignored doctor’s orders and will compete in the finals for the New Wave Cup. “The Magnificent” Giovanni Marranca has said if he doesn’t win this tournament, he will leave wrestling for good. He’s proven his “Low Blow Joe” mentality to do anything to win over Darius Carter and Sizzling Stan Stylez. Who will be the forefront of this New Wave? Project: Diverge intends to Evolve, Change, and Metamorphisize the way pro wrestling is viewed. For further updates on any Project: Diverge news, please stay tuned to ProjectDiverge.com for all updates. #OperationNewWave is here! Episode 4 of this 5-Day Special Release has the big intrigue on what happens after “the Jurassic Juggernaut” Vince Steele hijacks Project: Diverge! After losing in the first round to Sizzling Stan Stylez in a stunning upset, Steele bided his time and destroyed Diverge official Tyler Southwick with a chokeslam and a prone Stylez with a big splash. What man...or BEAST...can get the Powerhouse out of the ring? The main match on Episode 4 is a match with a lot of HYPE to it. Project: Diverge Hypeman MC Monty Max presents his creation - THE STYLES CLASH! 4 Artists with 4 Different Styles inside of one match. WildMan Kongo, a man who has made his prescence felt already on Operation New Wave, represents Old School. Mike Del upholds the Hybrid code. Prince Akkanatan is Entertainment personified. And the spicy Gabby Ortiz has the need for Speed. Who will come out on top and the King, or Queen, of the STYLES CLASH? Also, what is the status of Tom O’Malley’s shoulder? Will he be able to compete in the finals? 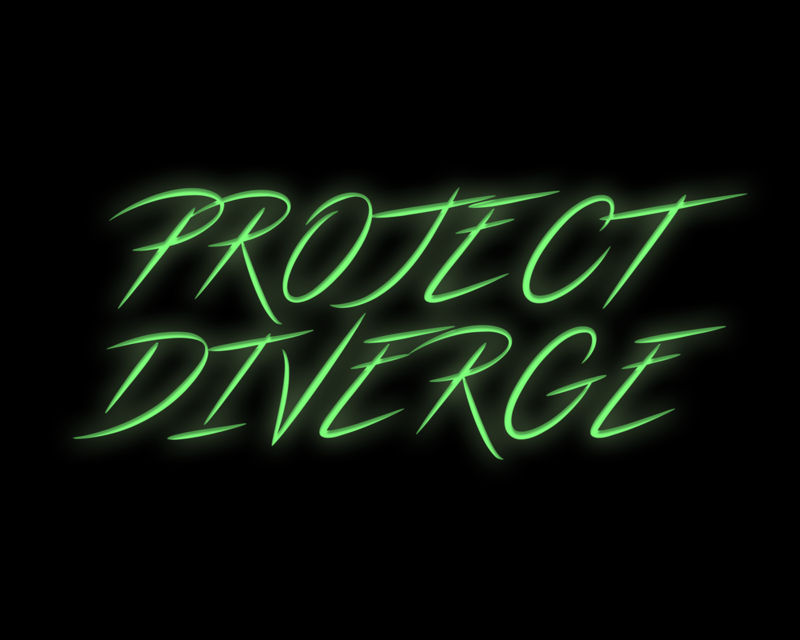 Project: Diverge intends to Evolve, Change, and Metamorphisize the way pro wrestling is viewed. We will see you for Part 5, the Finale tomorrow, 12.25.18 at 6PM, courtesy of ProjectDiverge.com. #OperationNewWave is here! Episode 3 of this 5-Day Special Release has the semi-final matches of the New Wave Tournament, where the remaining 4 Artists fight to see who will be at the forefront of the New Wave. Match 1 of the second round has Scientific’s Tom O’Malley facing off with Old School’s Tough Tim Hughes. O’Malley survived the Speed of 2Hot Steve Scott, while Hughes utilized interference from his cohort WildMan Kongo to beat the Violence of Ricky Richards. Are the odds stacked against O’Malley? Or is Tough Tim destined to be the Old Front of the New Wave? The other second round match is “the Magnificent” Giovanni Marranca, the master of Striking, facing Sizzling Stan Styles, who is Entertainment personified. Marranca showed that he will do ANYTHING TO WIN, as he did overcome Darius Carter and Hybrid, while Stylez pulled off the biggest upset of the first round, stunning Powerhouse’s Vince Steele. Can the “Sexx T-Rexx” continue his run to the finals of the New Wave Tournament, or will Stan see another example of “Low Blow Joe” en route to a defeat? Project: Diverge intends to Evolve, Change, and Metamorphisize the way pro wrestling is viewed. We will see you for Part 4 tomorrow, 12.24.18 at 6PM, courtesy of ProjectDiverge.com. #OperationNewWave is here! Episode 2 of this 5-Day Special Release has two of the first round matches of the New Wave Tournament, where 8 Artists with 8 different styles fight to see who will be at the forefront of the New Wave. Match 3 has Sizzling Stan Stylez, representing the style of Entertainment, facing off with “the Jurassic Juggernaut” Vince Steele, a 6’4, 435 lbs Powerhouse. This matchup is truly David vs Goliath. Who will win this match of wills? Match 4 is a toss-up, as “the Magnificent” Giovanni Marranca, the master of Striking, goes against Darius Carter, a man all about changing the game with his Hybrid style. Marranca has stated that if he does not win, he will retire from pro wrestling, while Mr. Carter is the odds on favorite to win the Operation New Wave Tournament. Who will come out on top in this clash of wills? Project: Diverge intends to Evolve, Change, and Metamorphisize the way pro wrestling is viewed. We will see you for Part 3 tomorrow, 12.23.18 at 6PM, courtesy of ProjectDiverge.com. #OperationNewWave is here! Episode 1 of this 5-Day Special Release has two of the first round matches of the New Wave Tournament, where 8 Artists with 8 different styles fight to see who will be at the forefront of the New Wave. Match 1 has Tom O’Malley, representing Scientific wrestling, facing off with 2Hot Steve Scott, utilizing his need for Speed. Both men have a history with one another, as they were trained by current Ring of Honor World Champion Jay Lethal at the ACE Wrestling Academy in Union City, NJ. However, both men are different in their own ways. Who will come out on top in this unique contest? Match 2 is a barnburner, as “Tough” Tim Hughes, the cool of Old School, goes against Ricky Richards, a man all about Violence. Hughes has been under the learning tree of “Brutal” Bob Evans, a cagey veteran of the game of pro wrestling, while the silent but violent Richards learned his fighting from attending and watching New York Islander games and brawls. Who will come out on top in this clash of wills? Project: Diverge intends to Evolve, Change, and Metamorphisize the way pro wrestling is viewed. We will see you for Part 2 tomorrow, 12.22.18 at 6PM, courtesy of ProjectDiverge.com. I just wanted to write on here. We are less than two days to debuting something a year in the making. When I started on this project, it came completely out of frustration for how I saw the wrestling business going. For myself inside the industry, it was an answer to how I saw things creatively. For myself as a fan, it was an answer to what I would want to watch. Most of all, for myself as a person, it was an answer to every naysayer that said I was too nice and passive and would never succeed at doing this, even one simple show. When everything started to culminate and settle in post-Operation New Wave, I went into a deep depression. Real deep. So many different things, personally and professionally, that nearly caused me to never release the footage. It was really bad. I truly was in the darkest place I’ve ever been. Now that we are mere less than two days away from the start of the 5-Day Special Release of Operation New Wave, I’m excited. Things are better. Anticipation is building. My mind is the clearest its ever been. It’s how I see pro wrestling. And yet, when the release comes, there’s going to be one question I’ll ask myself. “What did I just do?” Nah, just playing. On December 26th, we will see. Written last week on HardwayHQ.com, here is the official schedule for the Project: Diverge Operation New Wave 5 Day Special Release. I hope to see you to the end of this. This is my vision. This is my heart. This is my answer to everyone. Episode 4 of Project: Diverge #OperationNewWave on 12.24.18 will bare witness to one of the more innovative matches in pro wrestling. Old School, Entertainment, Hybrid, and Speed face off in a 4-Way Elimination Match to determine who is the true King (or Queen) of the STYLES CLASH! 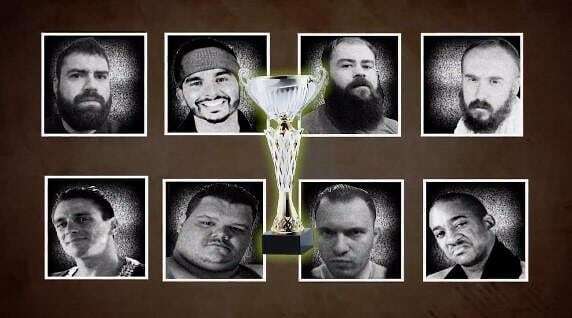 ​WildMan Kongo vs Prince Akkanatan vs Mike Del vs Gabby Ortiz square off in MC Monty Max's creation on Christmas Eve. BE THERE!